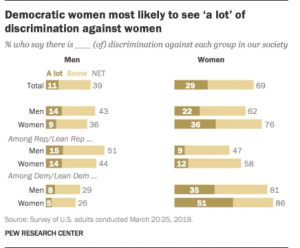 Is there a "War on Men" to go along with the left's assertion that there is a "war on women"? If you look at the gender learning gap, the fact that boys are falling behind in education, the gender mess in Massachusetts, the attacks on the boys scouts, manhood, football and suicide, you would have to agree that something is going on, whether orchestrated or by accident. Follow the debate below. Intimidating one’s political opponents only because one disagrees with the outcome of the last election is a disgrace and a serious offense to the democratic process. Regarding your editorial “The High School Deplorables” (Jan. 23): Having lived until 1989 under a communist regime (Soviet-controlled Poland), I am appalled by the argument that the Covington Catholic High School kids share the blame for the showdown with the Black Hebrew Israelites protesters simply by wearing their MAGA hats. It is beyond the pale that in a country built on the principles of free speech and personal liberty, political activists (and worse, journalists) dare to tell their fellow Americans that they are not allowed to openly support the president they voted for and to express their political views. Intimidating one’s political opponents only because one disagrees with the outcome of the last election is a disgrace and a serious offense to the democratic process. I’ve never had a MAGA hat, but I am going to find one. 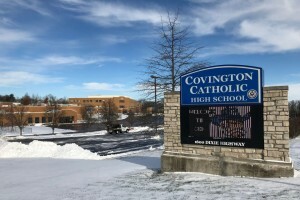 I owe it to the Covington High kids and to the right to freedom of speech in our country. Pawel Kalinski Buffalo, N.Y. How ironic that on Martin Luther King Jr. Day—a day honoring a man revered for his dedication to peace—a young man is vilified for employing (as viewed from the clips available on politically diverse news sites) one of the tactics Dr. King espoused: passive resistance. Elissa Gray San Ramon, Calif.
2013: The Year Men Became Obsolete? Is 'toxic masculinity' a threat to America?